It should be a gorgeous mid-August day but the rain is apocalyptic, drenching the hundreds upon hundreds of people queueing outside one of the city’s most celebrated music halls. 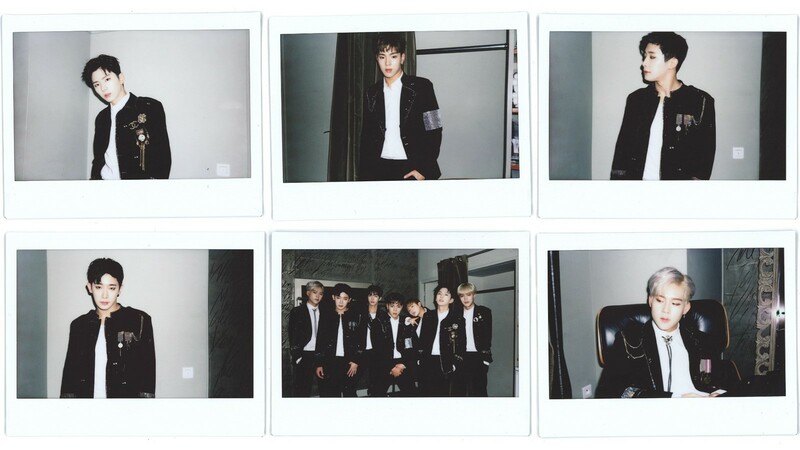 They’re here for the first ever European shows by Monsta X, the seven-member South Korean group whose mix of pop, hip hop, and heavy EDM combined with dark, tough, and sometimes cabalistic concepts has seen them gain a fiercely dedicated global following. When the lights do go down, the screams are piercing and reverential. Monsta X’s show is broken into group and unit performances (where members do something special, from a spin on the decks to covering popular Western songs) and every gesture, word, and ad-lib will wind the audience higher until the room virtually pulses. Backstage, however, things are much calmer. Vocalists Wonho, Kihyun, Hyungwon, Shownu, and Minhyuk, and rappers Jooheon and I.M, emit a serene, friendly professionalism. They’re wearing their stage costumes: Kihyun, the main vocalist, sports a sizable and sparkling Chanel logo brooch, while Monsta X’s leader, Shownu, has a thick band of sequins around a sleeve that throws light right into your eyes. Their entire effect is dazzling and distracting – all seven in tight trousers and jackets laden with diamante chains and epaulettes, beautiful faces smooth with makeup – and it will send their fandom, known as Monbebe, wild over the next two hours. Monsta X, who debuted in May 2015, were born from NO.MERCY, a survival show created by their label Starship Entertainment. In the show, existing male trainees vied against each other to debut in a new boy group. NO.MERCY initially shocked its audience when I.M, a total newcomer, was added to the mix late and ended up controversially being chosen for the group, knocking out fan favourite #GUN. It was a contentious start to idol life, but the competitive tension fast become an enviable camaraderie, complete with family-esque banter and bickering which, alongside Monsta X’s underrated, slow burn success, helped earn the unwavering loyalty of the Monbebes. Their sensitive side has never been concealed, but you need to delve into their albums for it, seen on likes of the mid-tempo soul of “Amen” and “Need U” or the extraordinary, piano-lead “Broken Heart”. 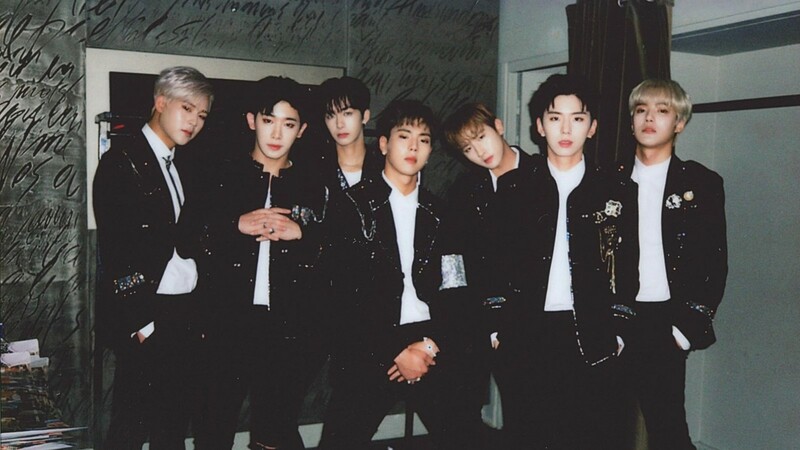 Or invest in their reality shows Deokspatch X, Right Now!, and newer series X-Ray (“You saw that?” Kihyun asks in English, surprised – and you can just catch his slight lisp), where their off-stage personalities veer like go-karts through sassy, embarrassing, risible, protective and tender. One of the most compelling inter-band unit performances on this tour is 2Chain (Kihyun and Jooheon), who, after releasing a striking cover of R&B singer Crush’s “You & I” earlier this year, cover Lil Wayne’s “Mirror”. Jooheon has written his own verses for it, brutally self-judgemental yet ultimately empowering words he uses in a volatile performance that emotionally knocks you from your seat. “It was Kihyun who suggested ‘Mirror’, and I liked the song as well,” he explains candidly, sat beside the singer who reassuringly taps on Jooheon’s knee throughout. “People don’t always say complimentary stuff to themselves, and I thought about what I was missing, where I wasn’t good enough – like, trying to see the whole picture,” Jooheon adds in Korean. “I realised it was my fans who were most important in my life, so I tried to match myself with them, seeing the fans from my perspective and seeing myself from the fans’ perspective. I guess I tried to put a lot of things into those lyrics…” He trails into silence – although known as one of Monsta X’s big on-stage personalities, today he’s quiet and watchful, and Wonho breaks the sudden lull. “Wow, that’s going to be really hard to translate,” he blurts, making the others laugh. Besides Monsta X, the members have their own projects – mixtapes (Jooheon, I.M), photography (Kihyun) and illustration (Minhyuk). I.M’s introspective 2016 track “Who Am I” was the pertinent musings of a young idol, asking “am I born for me or born for success?” Despite a year speckled in career milestones, answers remain unfound. “I think I’m still looking,” he replies in English, which he undoubtedly picked up from a childhood spent in Israel and the US. He’s the maknae (youngest) at 21 years old but possesses a disconcerting directness and a wry intensity. “Asking myself questions like that makes me grow up and be stronger,” he says, leaning in, elbows resting on his knees. Together they’ve certainly achieved impressive goals – from winning last year’s Male Dance Performance at the Seoul Awards to topping the Billboard World Chart with their recent album, The Clan Pt. 2.5 Guilty. “We haven’t really thought about awards,” Minhyuk says of potential future wins. He’s interrupted. “A Grammy!” demands I.M, laughing, then apologising. “But rather than awards, we want to be a group the next generation can look to, like ‘I want to be like Monsta X’,” Minhyuk continues. Monsta X might well inspire others. After all, their dynamic – even in the unnatural confines of an interview – is one of warmth, acceptance, and familiarity. It’s in the little looks they shoot each other, the nudges of support, and Minhyuk, with his sunny smile and a speaking voice that cracks a little on the edges, embodies all that, creating an easy atmosphere that relaxes his bandmates. That there might be a member who remains hard to read sparks a debate. Kihyun tilts his head, squinting at the ceiling. “Even difficult members are so easy to read. I don’t know…” he says, half to himself. “I think he just has no thoughts during those times,” Shownu offers. I.M’s world would be..? “Maybe Mars?” he replies, straight-faced. “But anyway, we don’t get angry, we’re always happy,” he quips, to explosions of disbelief around him. There’s just enough time to look back at their career thus far and define, beyond the music, what’s set them apart to succeed. In a rather endearing way to end things, what Shownu says is mistranslated into “I think the difference is we have quite great bodies…” Kihyun laughs so hard he rolls into Jooheon’s lap as Minhyuk protests loudly – “Great bodies? Great shapes, great shapes!” he re-translates as Hyungwon and Shownu look startled, and I.M, Jooheon and Wonho wear the smiles of those who can no longer be embarrassed by much at all.